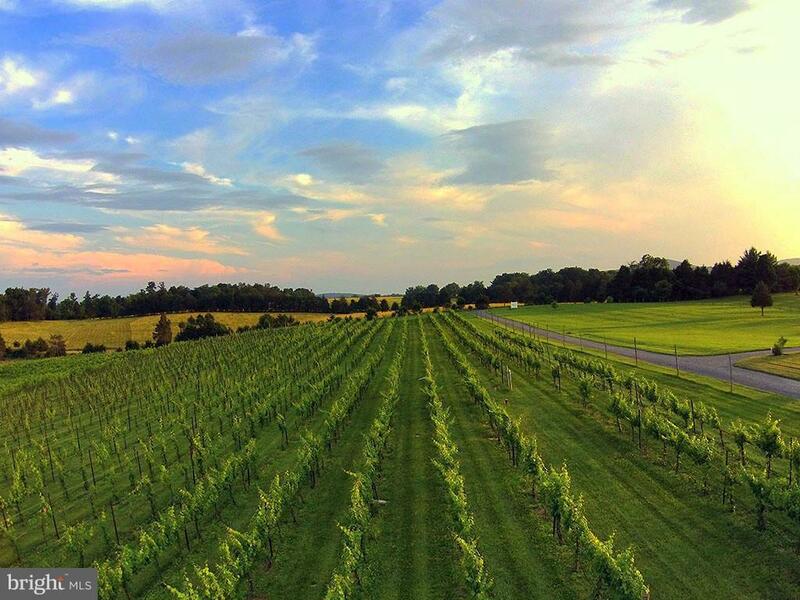 On approximately 33 acres, Wolf Gap Vineyard and Winery is offered turn-key, with an executive style residence, 3 level winery and tasting room, a steel barn/utility structure and all the major equipment needed to continue all facets of the vineyard/winery business and the special event business (primarily small weddings). The 5 acre vineyard is planted with Cabernet Sauvignon, Cab Franc, Chardonnay, Chambourcin and Traminette. 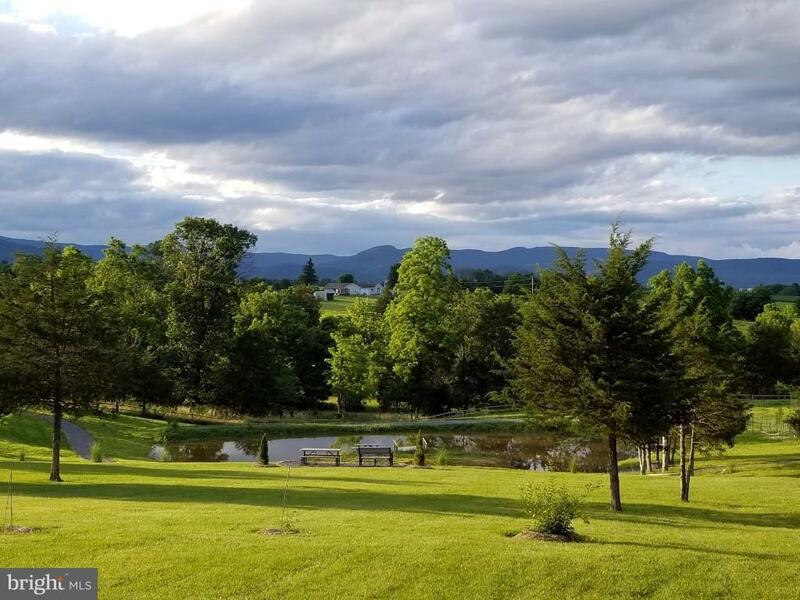 Wolf Gap is truly an "artisanal" winery with many special vintages and focused on small batches of interesting wines that have produced many awards and accolades over the years. The three level winery consists of an 800 s/f tasting room area with outdoor decking, and then 2 lower levels for wine production and storage. All major equipment for both vineyard and winery operations is included in the list price. 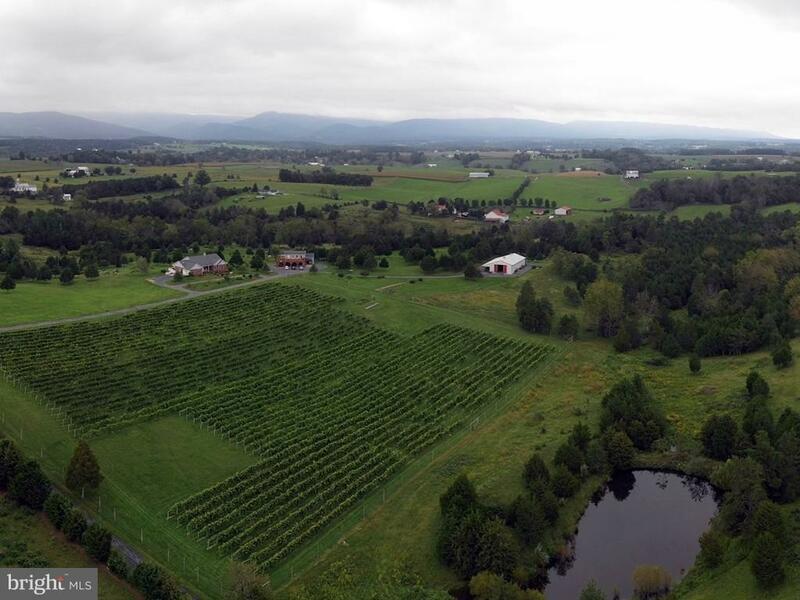 The entire vineyard/winery operation is also supported by a 3,200 s/f utility/barn building with heated tool storage and ample indoor storage for tractors, ATVs, mowers, etc. The upscale residence is an all brick, 3 to 4 BR, 3.5 BA executive style home which exudes quality and craftsmanship throughout the approximately 4,300 s/f of living space. (Please be sure to view the Matterport media presentation on the residence interior). The main level has an open floor plan which provides a natural visual flow from the foyer to the main living area (with gas fireplace, and large picture window providing valley and mountain views), then to the dining area, kitchen, and breakfast sunroom with ample natural light and more great views. The spacious master bedroom suite is also on the main level, with two closets and an ensuite master bath complete with large soaking tub, separate tiled shower stall, and tiled sink area---along with views of the mountains and valley. And directly off of the master suite is an adjoining windowed/screened all-season porch with ample seating area and inspiring, western, ~big-sky~ views---to accompany your morning coffee or your evening glass (or two) of wine! The well-appointed open kitchen area boasts a chef~s grade gas cook top, an electric oven, convection oven, microwave oven, vented hood, double sink with an instant hot water dispenser, large pantry, a large center island with granite top and barstool seating, and all of this with eastern views of the vineyard and Massanutten Mountain in the distance. Other amenities include a large, spacious second story deck and balcony which extends the entire expanse of the rear of the house, a covered front porch area, an oversized 3 car garage with automatic door openers, a 17kw auto-start back-up generator in case of power failures.On the lower level, there is a full walk-out basement with a very spacious recreation room area that contains a wood-burning fireplace, seating area, and wine lounge. Directly off of this area, there is a separate wine cellar with its own temperature control and luxuriously appointed to attractively store and display up to 750 bottles of wine. On this level there is also a very large guest bedroom with attached bath, a bonus room and three large storage rooms. The lower level opens out onto a 500 sq. ft. brick terrace with a fire-pit, and simply spectacular views of the valley and mountains. This gracious outdoor terrace level is now complemented with an extensive nearby walking trail, designed with a simulated ~dry~ stream effect starting at the top of the trail and leading to the lower levels along the natural contours and leading to other natural interest areas with seansonal plantings and several seating areas. Wolf Gap has it all---ample acreage, breathtaking views from nearly every aspect on the property, well cared for vineyard, a turn-key winery and tasting room, and an upscale executive style residence with many amenities including outdoor space for wedding events, all of which combine to provide the best of the estate vineyard and winery lifestyle. Inclusions All Major Equipment Related To Vineyard Winery Tasting Room And Special Events Business is included. A Detailed Listing Of Equipment is Available From The Listing Agent.